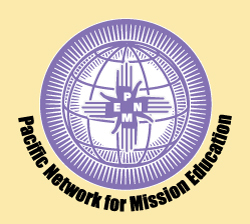 PNME’s objective is to encourage and enable mission education experience whose objective is to further the justice and compassion urged by Christ. We seek to facilitate cross cultural experiences by participants who will widely share reflection and knowledge. Successful applicants will be those who have thought through, and described for us, their plan to share, educate and proclaim to others what they have learned from their mission experience once they return home. Any person can apply for a PNME scholarship who is part of a Christian faith community, has a passion for learning and being involved in what God is doing through Christian communities around the world, and has the opportunity to be engaged in a creative learning experience related to this kind of activity. PNME’s focus of eligibility is on individuals rather than organizations or groups. Our primary focus is on West Coast US residents. Our focus is on experiences outside of the US or in places where there there are cross cultural opportunities. Our emphasis is on learning rather than service projects although service projects are considered when they have a strong educational component and/or a mentoring component. Grants are limited to a short term experience of less than 3 or 4 months. Grants are for up to $1000 per applicant but could possibly be higher in cases of greater need. Interested persons should carefully read the application answering each question fully and completely. Additional information (fliers, web sites) to clarify the event/project can be included to help the committee consider your applications. A complete application should be about 1,000 words long (about two full pages of single space 12pt type). Applications must be mailed/emailed on or prior to the deadline dates: March 5 and October 5 of each year. If you send your application earlier, and note you have questions about completing it, the committee can help clarify how to complete the application.